Illusion of Lights introduces you to the concept of movement and time that visually explores our night skies. 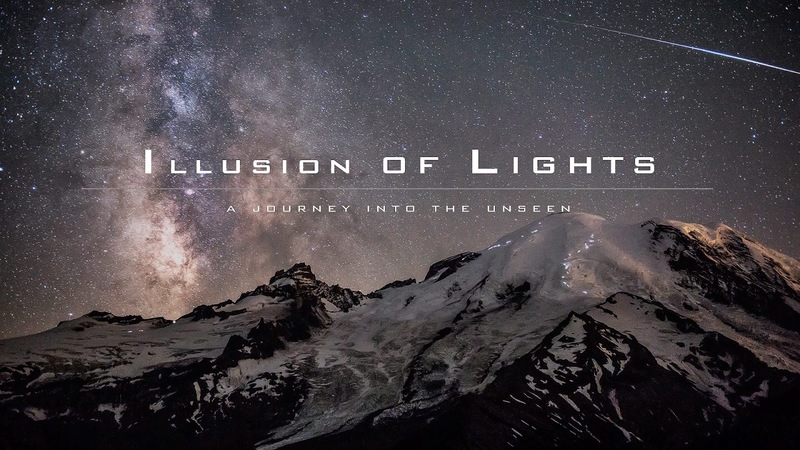 Beginning with the dazzling chaos of urban light pollution, the film takes you on a magnificent trip across pristine wilderness areas and shares with you the wonders of our night skies. With hundreds of thousands of gorgeous images produced especially for this project, Illusion of Lights gives you scene after scene of unique and detailed views from locations few will ever encounter. Fly over high altitude peaks, soar with the wind, and follow the Milky Way as it dances through the afterhours. From beyond the stars to beneath our feet, each time-lapsed sequence gives the viewer a visual narrative that attempts to communicate what the artist experiences each night in the field; natures expressions of human curiosity and ambition. Brad Goldpaint spent 3 years of creative exploration crafting visual metaphors which reflect aspects of existence that are often hidden from everyday sight. We interact with these miracles on a daily basis yet we are amazed at the infinite magnitude of our planet. We encourage you to raise your eyes towards the night sky. Explore. Realize you are a part of the illusion and the universe is a part of you.